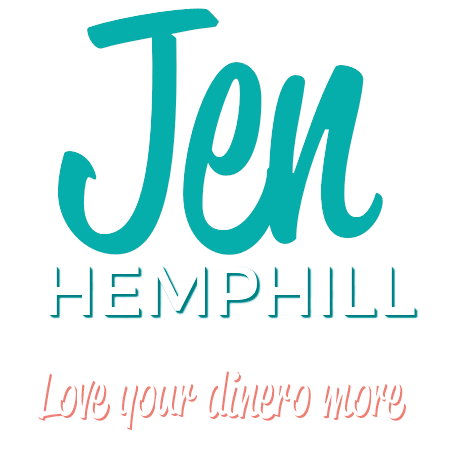 This week’s guest was raised by a single dad and brings a beautiful perspective on money. Rocky Lalvani’s focus is on living a richer life, but not in the sense on focusing on becoming rich with money but rather living your life on your own terms, whatever that may mean and look like for you. How his father raised him as a single dad and what money lessons he learned. Rocky Lalvani moved to the US from India with his family at the age of two. At the time, his father was only able to bring $25 from India to start their new life. Despite starting from the bottom, Rocky’s Dad went back to college at 42, and quickly gained wealth. Individuals from Rocky’s Indian hometown openly spoke about money. With the expectation for success, people were constantly moving up the economic ladder. Since he was surrounded by his family and family friends, Rocky grew up with a strong knowledge of money management, as it was part of his native culture. So long as you show up and do the hard work, Rocky believes the ‘American Dream’ is very possible. Rocky’s parents always saved money, even when they weren’t making much. They would walk instead of taking the bus, just to save that extra quarter. They would buy nice things at cheap prices. They had a great sense negotiation and a knowledge for good deals; that is where they found quality. They never had debt, as it was a huge ‘no-no’ in their culture. At 7 years old, Rocky’s mother passed away due to breast cancer. This made things more difficult for his father to move up the economic ladder. Despite the hardship, his father remained content with whatever money he had. Rocky’s father shared the importance of frugality, knowing how to make your money go far, and being content. From a young age, Rocky was surrounded by very wealth individuals individuals. Because of this, he grew to focus primarily on becoming a millionaire. For years he strictly chased the money, until he realized what was lacking in his life. Rocky realized there is no happiness in chasing money. Money can make you comfortable by covering your basic needs, but it is the other things in life that create happiness. The rest was split into savings and spending money. The savings portion was meant for goals beyond college. With an allowance, Rocky and his wife would not buy things for their kids. Their kids therefore learned how to use money, and how to delegate their spending. In terms of purchasing items, Rocky would discuss comparison shopping and making choices with his children. His son collected Pokémon cards. Almost every time they went to target, his son would want to purchase the 10 card pack for $10. However, Rocky would point out a box with 35 cards for $25, and a pack of 150 cards for $25 on eBay. By doing this, he would have constant conversations about choices and comparing prices between stores. This taught his kids to save up for larger purchases, to say no to some things, and to pick the better deals. Rocky believed that if his kids were smart enough to go to college, then they were smart enough to pay their way through it. This taught his kids the time value of money, multiple ways to get money, and that the best way to get money for college was to be a good student. He allowed his children to make their own choices, and to learn lessons through their failures. Rocky’s last tip is that parents ‘walk the talk’, as kids can detect hypocrisy; what you say does not matter, but what you do does. Little actions such as, “don’t tell mom”, “don’t tell dad”, will teach kids bad behaviours. As kids get older, their needs increase, therefore Rocky believes their allowance should increase over time too. Regarding allowance versus earning money, Rocky says that if a child does not have money, they cannot learn how to use it. This is why Rocky chose the allowance route. His kids could do chores to get more money if they wished, but Rocky states that taking away money as a punishment for not completing chores creates a battle with money for your kids. A child’s money script is designed between 5-12 years old, so Rocky suggests they are started young, and as many barriers are removed as possible. Rocky was inspired to create the podcast after he met with several money planners. 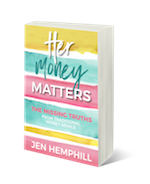 The money planners would strictly focus on the money they were managing, ignoring another opportunities. On his podcast, Rocky focuses on building financial bases to create freedom, in order to create the life of freedom you desire. 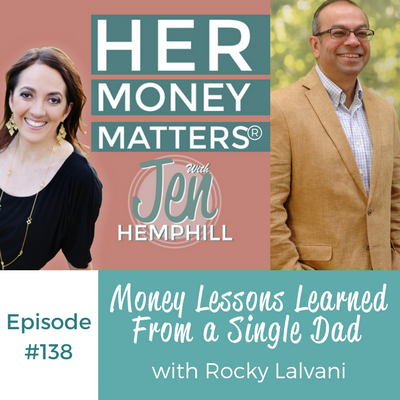 The post, HMM 138: Money Lessons Learned From a Single Dad With Rocky Lalvani appeared first on the Her Money Matters Podcast.